The graphic bags by Vitra belong to the Home Complements series. They are adorned with patterns by the designer Alexander Girard, carefully chosen by Vitra in collaboration with the Girard family. Love Heart is one of his most popular motifs and can now be found on the Vitra cotton bag. The graphic bags are made of 100% cotton on which the Girard motif is screen-printed. Thanks to the robust cotton, the bags can be used for the weekly shopping and feature handles that make it easy to lift and carry. Isolated product image of the graphic bag with the Love Heart motif by Alexander Girard for Vitra. 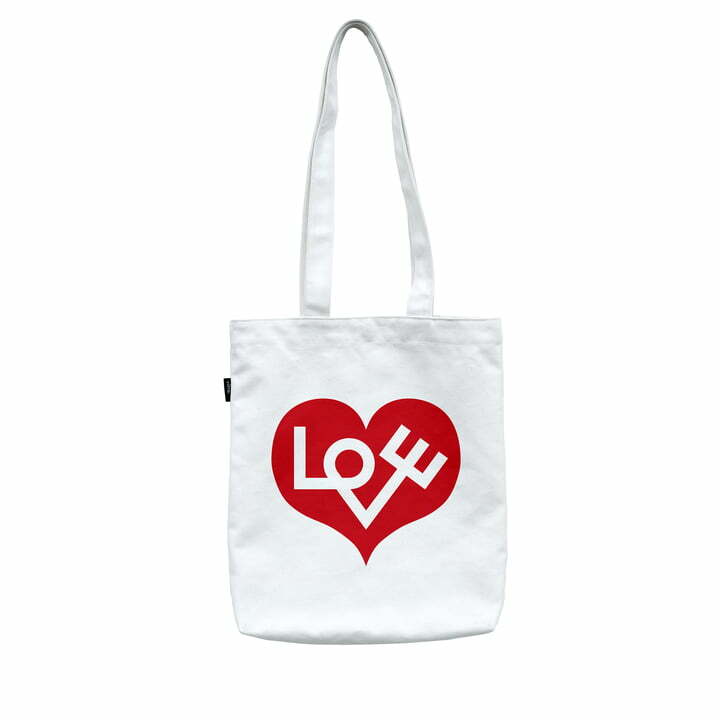 Love Heart is one of the most popular motifs by the designer and is now on the Vitra cotton bag.